The American V-22 Osprey was challenged by Soviet rival, the Mi-30, which was included in the state armaments program for 1986-1995. 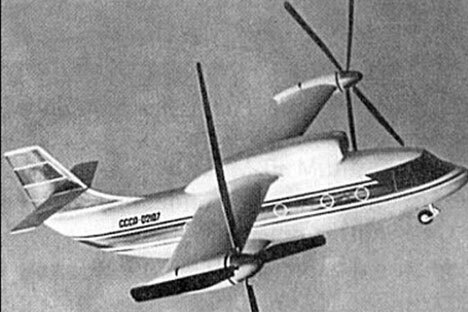 However, the collapse of the Soviet Union meant that the Mi-30 got no further than the drawing board. The new Mi-30 was superior in speed and range but its specifications changed constantly in the coming years at the military’s behest. Its payload of 2 tons and 19 troops rose to 3.5 tons and 32 troops, with an accompanying increase in flight speed to 500-600 km/h over a range of 800 km.